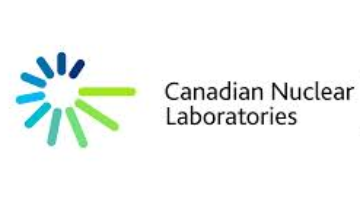 The purpose of this position is to provide Quality Assurance support to the organization through guidance, oversight, and executing quality assurance activities to ensure that CNL's quality program requirements are met. This position is essential to ensure CNL product and services are delivered in compliance with statutory and regulatory requirements, and through the provision of quality services to internal and external customers are also value-added. The Quality Specialist also provides QA support to the functional support areas including supply chain and projects through effective oversight, engagement to support execution and by carrying out assessment activities during all phases of procurement and work. This position is applicable to all CNL sub-units. At a minimum, a Bachelors (Honours) in Engineering or Science from a university of recognized standing; or membership in an engineering or scientific organization authorized by statute to establish qualification for membership in that organization. CSE 3 - Significant related engineering technical work experience. CSE 4 - Significant related engineering technical work experience in a field of specialization. Engineering technical work experience and fields of specialization areas include” Mechanical, Civil, Industrial, Chemical, Construction, Manufacturing/Fabrication. - Ability to review, interpret and translate quality and technical specifications, drawing requirements, quality plans, inspection and test activities, to item, material, product and service deliverables received by the supplier and performed for CNL. - Ability to apply knowledge and experience from technical expertise and employ it into quality assessment activities and communicate the interconnections of product and service quality performance to compliance and customer satisfaction outcomes. - Ability to use and apply Quality Tools in technical and assessment work. - Depending on the location of work, travel will be required periodically.